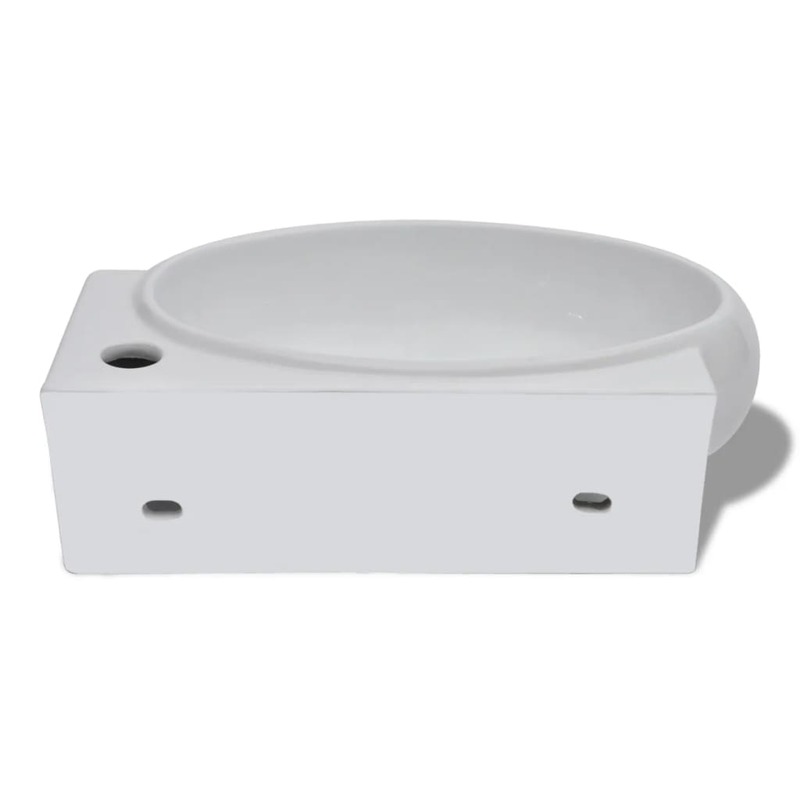 Featuring a shining white look, this basin offers a unique, modern style for any bathroom. With sloping side walls, a flat bottom, and smooth curves, the lavatory basin applies a contemporary design for your bathroom. 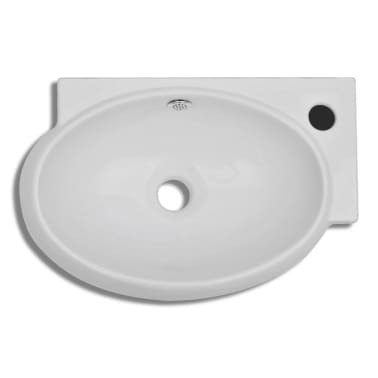 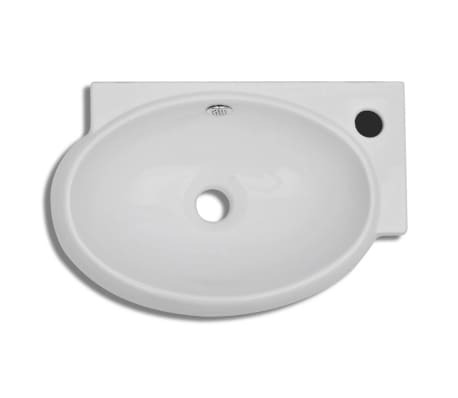 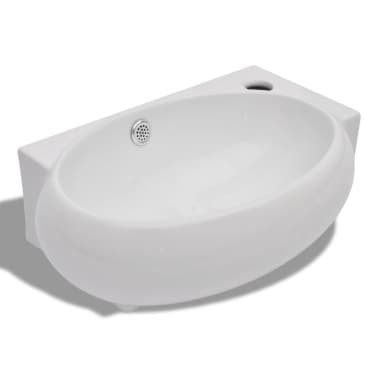 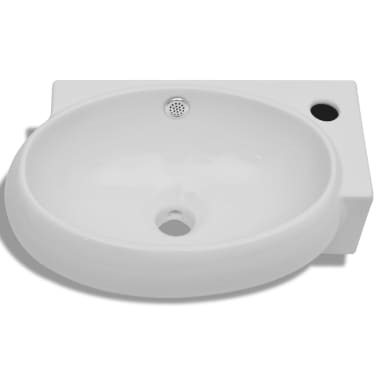 The basin is made from quality ceramic, preventing itself from scratching or chipping. 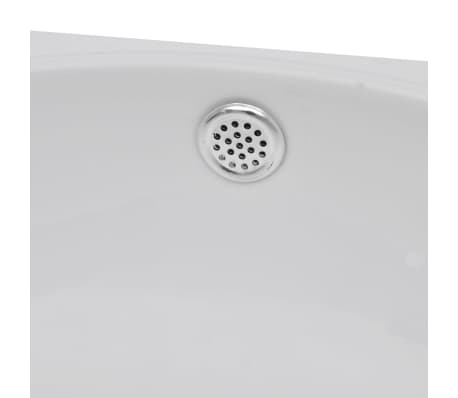 Being corrosion resistant and durable, it’s also easy to clean. 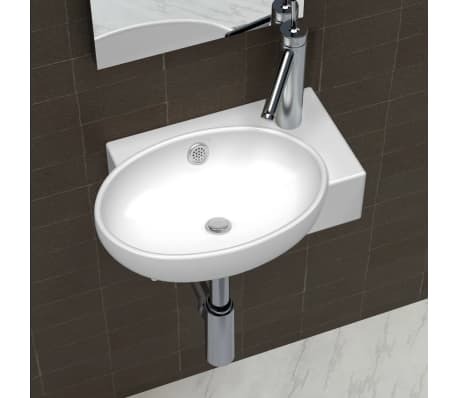 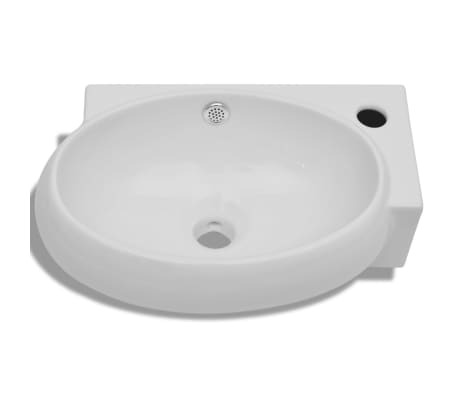 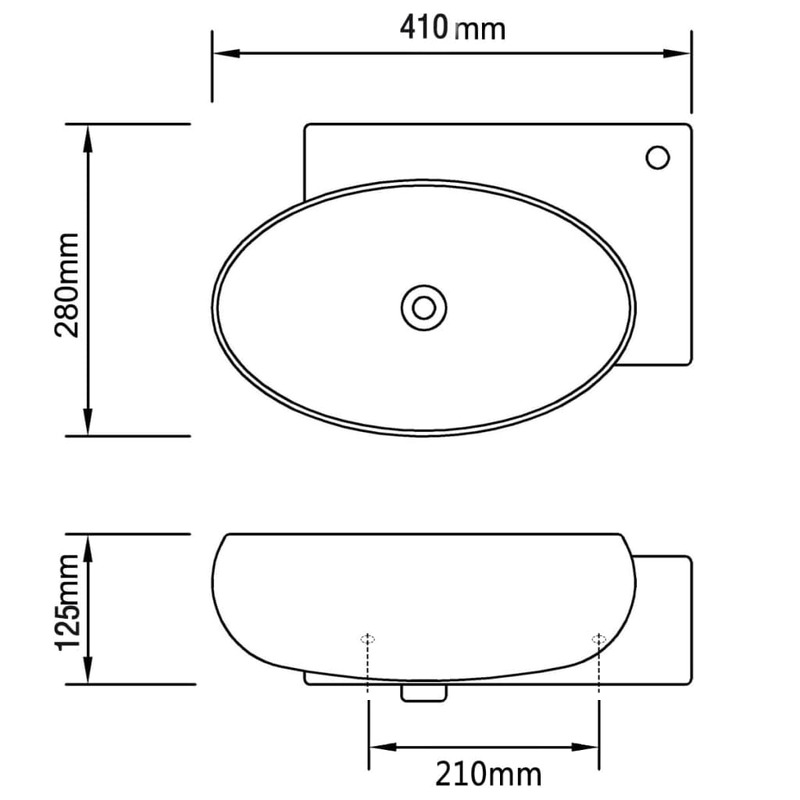 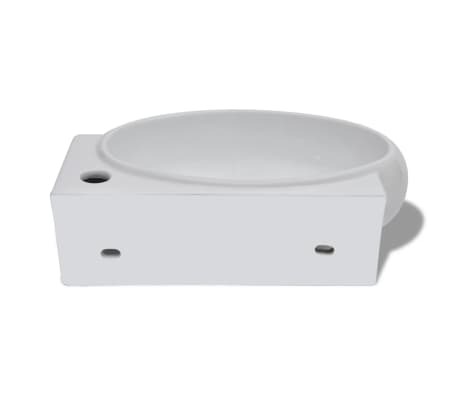 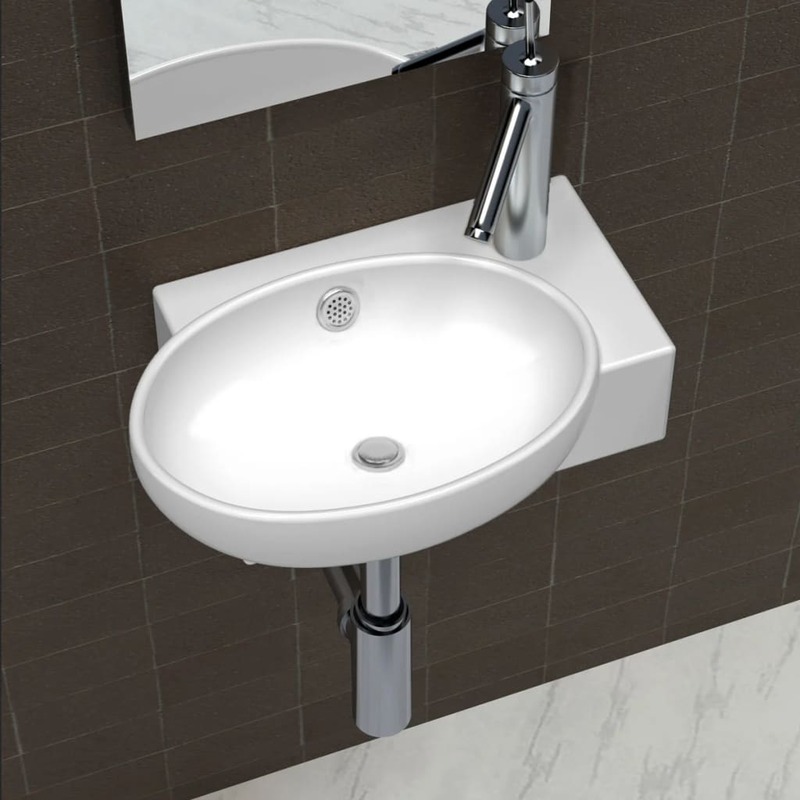 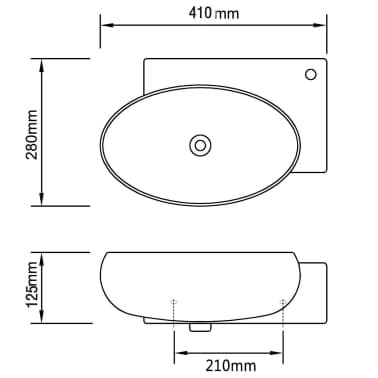 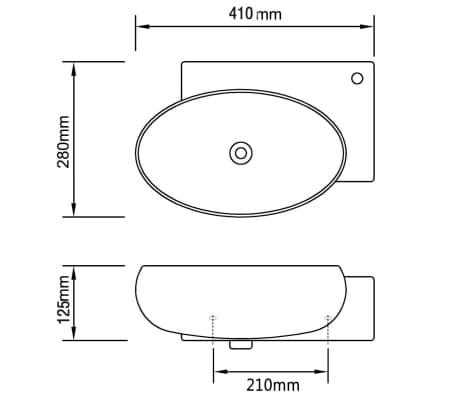 The basin is suitable to be mounted on the countertop or fastened to the wall. 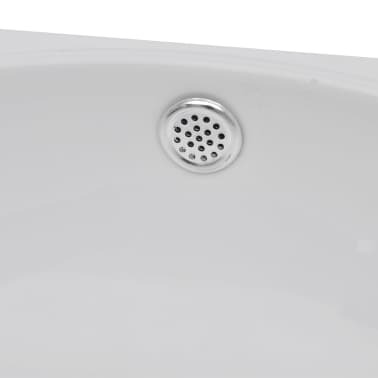 Thanks to the overflow hole, you needn’t worry about the water spilling out. 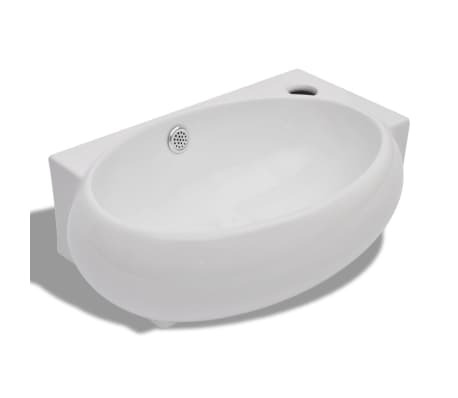 Our ceramic basin is surely a perfect choice to enhance your home with a touch of style. Please note: The drain is not included in the delivery.